Our State readers are some of the most educated, affluent, and influential people in North Carolina. They are also extremely devoted to Our State magazine, a rare quality that translates into an intense interest in the magazine’s advertisers. Our State readers travel extensively, attend plays and concerts, and seek out life-enriching experiences all across the state. For advertising information, please contact Jenn White at (800) 948-1409 or email (sales@ourstate.com). 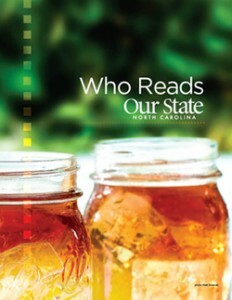 To learn more about who reads Our State, click on the image to view our Subscriber Profile.